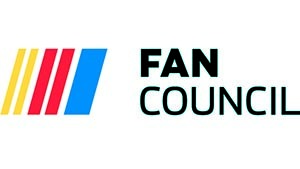 NASCAR created the Official NASCAR Fan Council in 2008 to allow fans a way to communicate directly with the NASCAR organization, providing feedback on things that matter to them with the sport. Our fans are the heart of the sport and we appreciate your passion and continued support. The fans that participate in the Official NASCAR Fan Council provide an important service to the sport. Members share their opinions with NASCAR each week throughout the season and, in doing so, have a direct impact on the sport. So let’s hear from you! Register to join the Official NASCAR Fan Council and make a lasting impact on the sport you love. Meet the April NASCAR Fan Council Member of the Month here. Q. How much does it cost to join the Official NASCAR Fan Council? A. Nothing, it is free to join, we just ask that you actively participate in the Council by providing your feedback when requested. Q. What do members receive for participating? A. Official NASCAR Fan Council members have the unique opportunity to speak directly to NASCAR. Q. How long can you be a member of the Official NASCAR Fan Council? A. Members can remain on the Council as long as they like, as long as they actively participate by providing feedback when requested. Q. Who is eligible to join the Official NASCAR Fan Council? A. For consideration, any new members should be at least 13 years of age, a U.S. resident and be passionate about NASCAR. Q. My friend/family member should be a member, how do I recommend them for the Official NASCAR Fan Council? A. Anyone that is interested in becoming a member can submit a request here (www.nascarfancouncil.com) by clicking the “Interested in joining?” button. If you are submitting for a friend/family member, you will need to know their email address to recommend them. Please note that all new registrants will go onto a wait list from which NASCAR will select new members for participation. NASCAR reviews new candidates and adds people to the Official NASCAR Fan Council periodically. Please be patient as we work through all invitations to new members. Q. How often can I expect to provide feedback? A. While not every member receives every survey, members can expect to participate in roughly two surveys per month. Q. Why “Official” NASCAR Fan Council? A. The Official NASCAR Fan Council is the only place that NASCAR fans can speak directly to the sport and have their opinions count. Q. Why don’t I ever see results from the Official NASCAR Fan Council published? A. Official NASCAR Fan Council results are shared both internally at NASCAR and with members. We do not regularly publish information from the Official NASCAR Fan Council, but will share with the general public as appropriate. Q. Is the Official NASCAR Fan Council really run by NASCAR? A. NASCAR handles all aspects of the Official NASCAR Fan Council.